Guest Apartment Services, Paris: Apartment digs are hugely popular with Australians visiting Paris and no one does it better than Christophe Chastel and Philippe Pee. 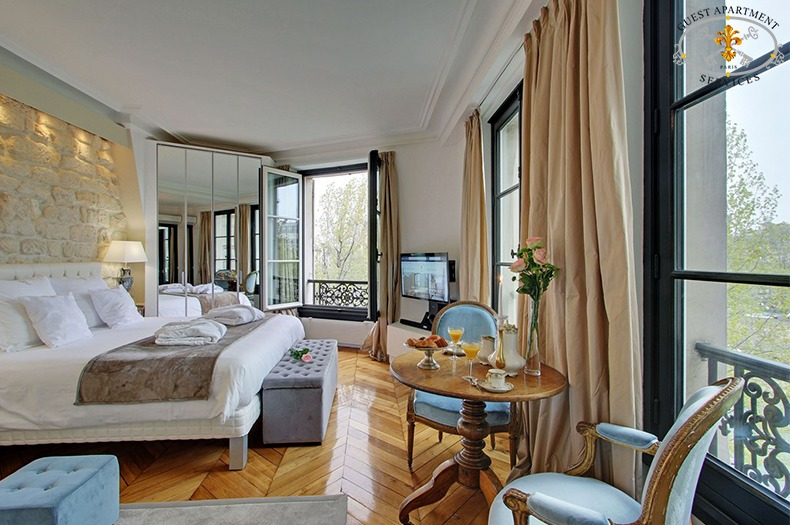 They manage a large collection of abodes in the Marais, Saint Germain des Pres and on Ile Saint-Louis and while properties vary in size and style, always constant are the little luxuries that add a five-star hotel flourish to the standard self-catering experience. Think piles of properly fluffy towels, voluminous bathrobes, feather-down pillows and fresh flowers. In the basement laundry of the company’s charming headquarters on Ile Saint-Louis, mountains of the finest Italian linen (similar to that found at The Ritz) are washed and ironed before housekeepers meticulously dress the apartment beds. A little welcome gift and neighbourhood guide, listing restaurants and where to buy the best bread, cheese, wine, even ice cream, are part of a hotel-style concierge service that also includes concert and restaurant bookings, chauffeur-driven airport transfers and babysitting. And help is available 24/7, making this your perfect Parisian home away from home.